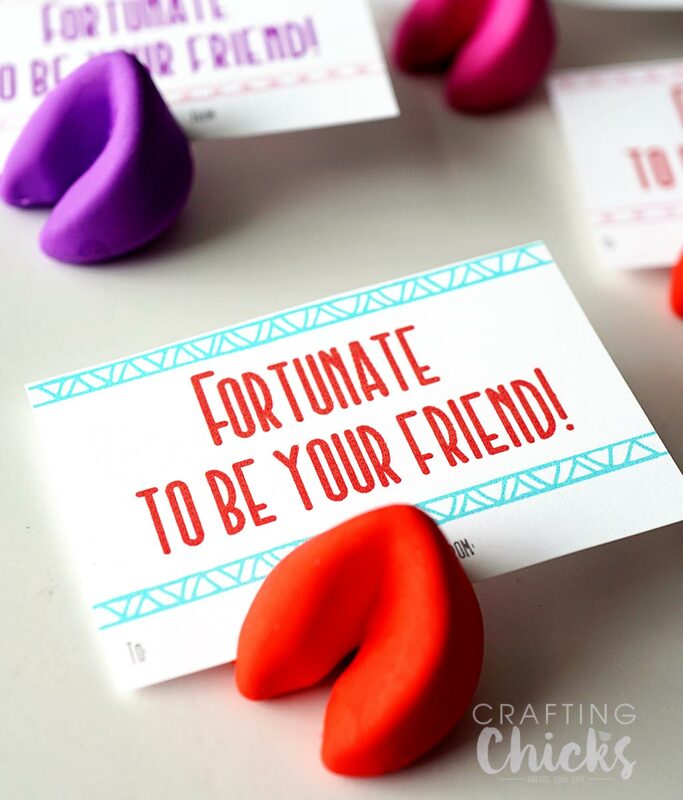 These adorable Fortune Cookie Valentines are made from Fortune Cookie Erasers I found in the Target Dollar Spot and I couldn’t come home with out them. They are just so colorful and cute! And seriously that little take out container is perfect. The erasers have slits on the sides that I’m not sure what the purpose is, but they worked out really well to add a slip of paper in. It just slips right in, like it was always meant to be. 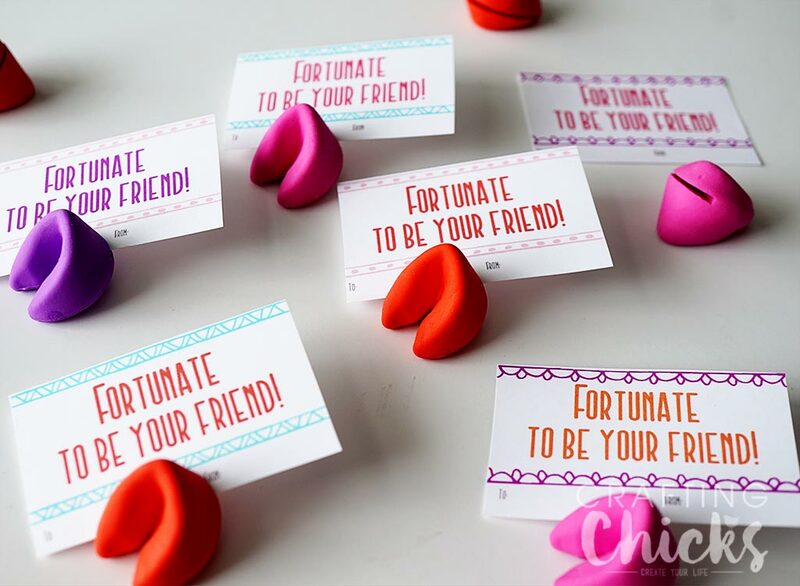 If you can’t find the erasers, these tags would work with regular fortune cookies. 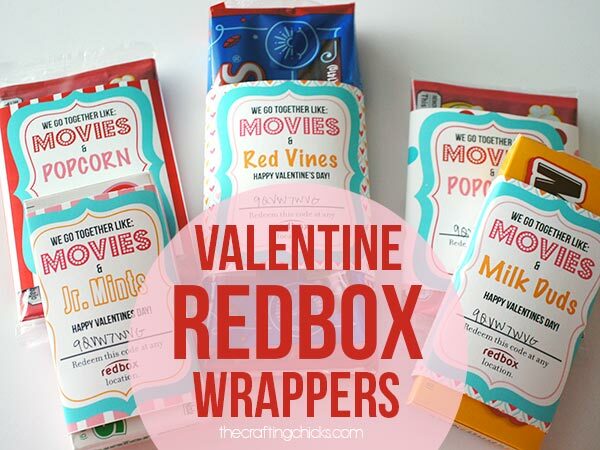 Or get fancy and dip them in chocolate and add sprinkles to make them a little more special for Valentine’s Day. They would be super cute. 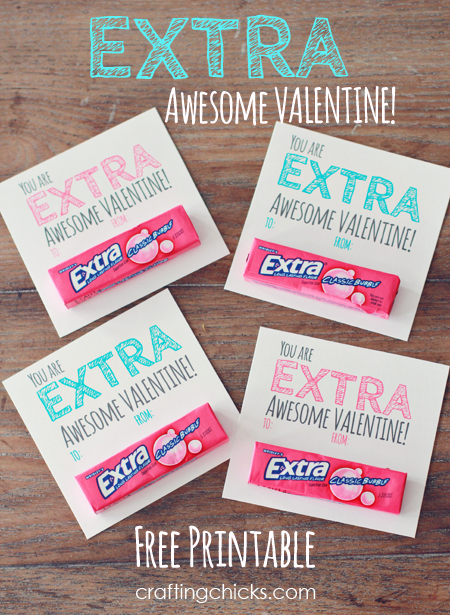 Heck, forget the kids and give a sack full (with the tag attached of course) to one of your friends for Galentines! 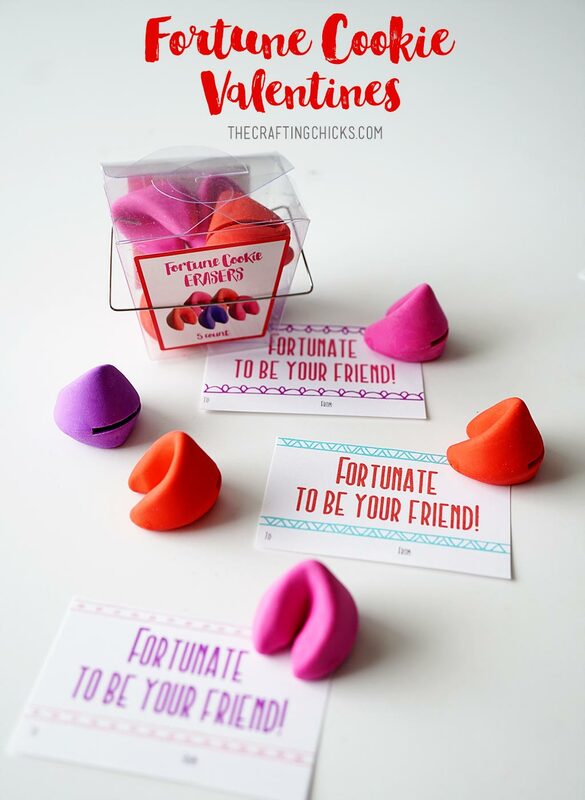 Download the “Fortunate” tags below. There are 18 tags per page. Hi! 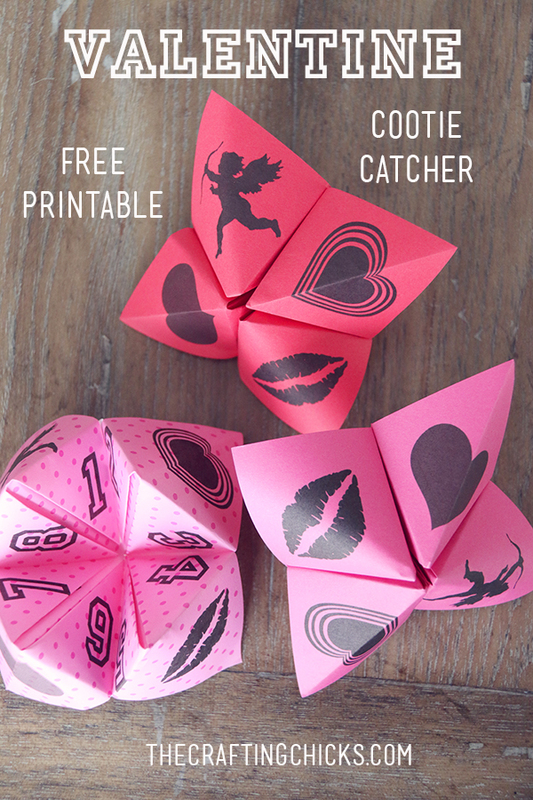 I love this idea for Valentine’s, but when I click on the button to download the fortune cookie tags, it just takes me to an image of that button. Perhaps the button wasn’t linked to the actual document? Thanks for your help and my kids can’t wait to use these! Yikes! Just fixed it, thanks for the help! 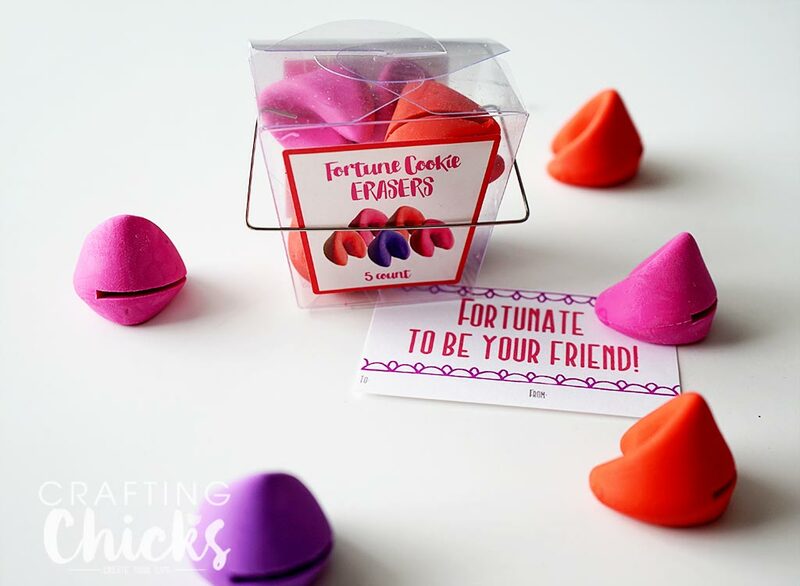 If target doesn’t have the fortune cookies where else can I find them?